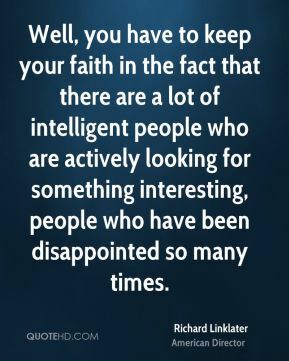 Well, you have to keep your faith in the fact that there are a lot of intelligent people who are actively looking for something interesting, people who have been disappointed so many times. 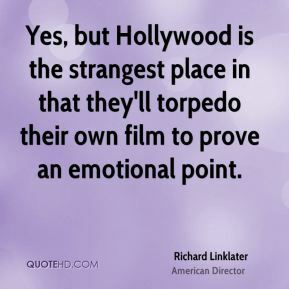 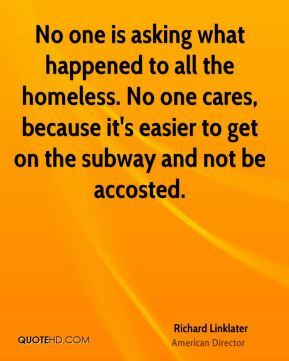 Yes, but Hollywood is the strangest place in that they'll torpedo their own film to prove an emotional point. 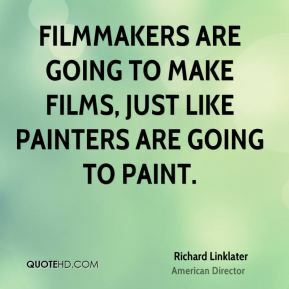 Filmmakers are going to make films, just like painters are going to paint. 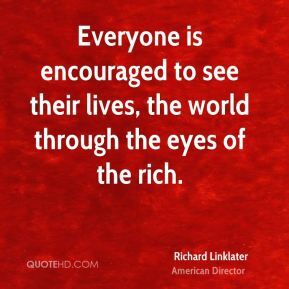 Hollywood has a way of sucking the world's talent to it. 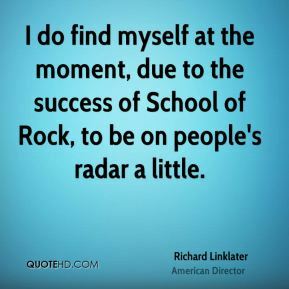 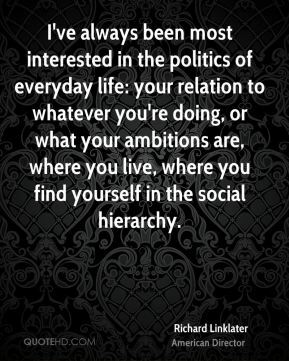 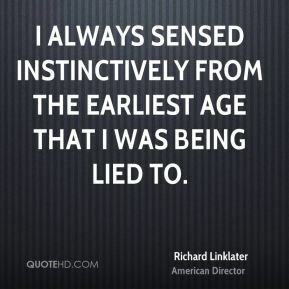 I do find myself at the moment, due to the success of School of Rock, to be on people's radar a little. 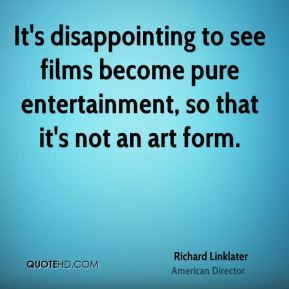 It's disappointing to see films become pure entertainment, so that it's not an art form.